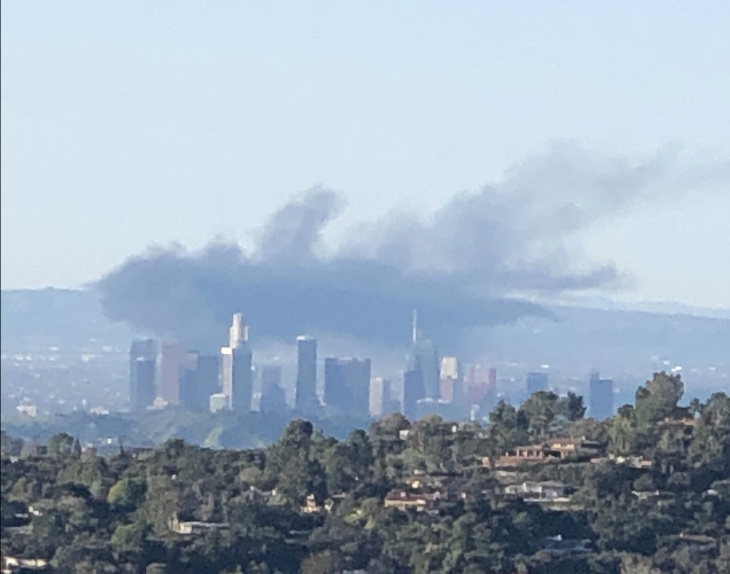 An explosion caused by a leaking tanker truck in South Los Angeles on Sunday sent a plume of black smoke visible for miles into the air. 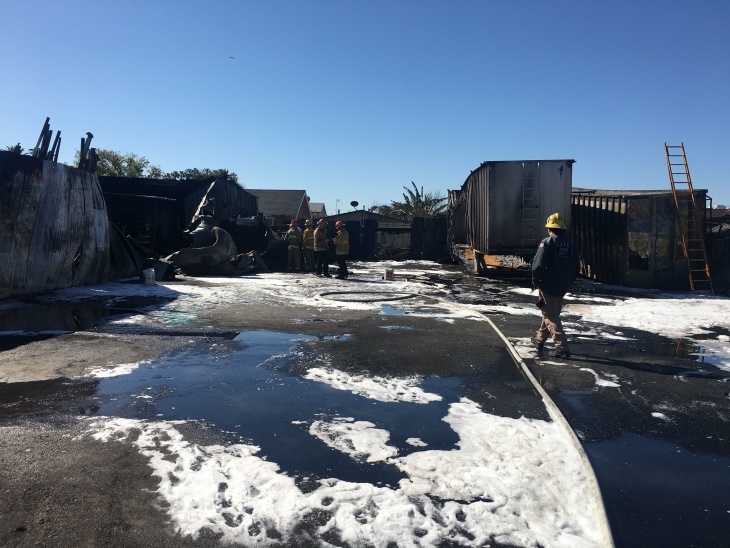 The 9,000-gallon tanker was parked in an industrial lot and had been leaking gasoline or another liquid fuel into storm drains, authorities said. 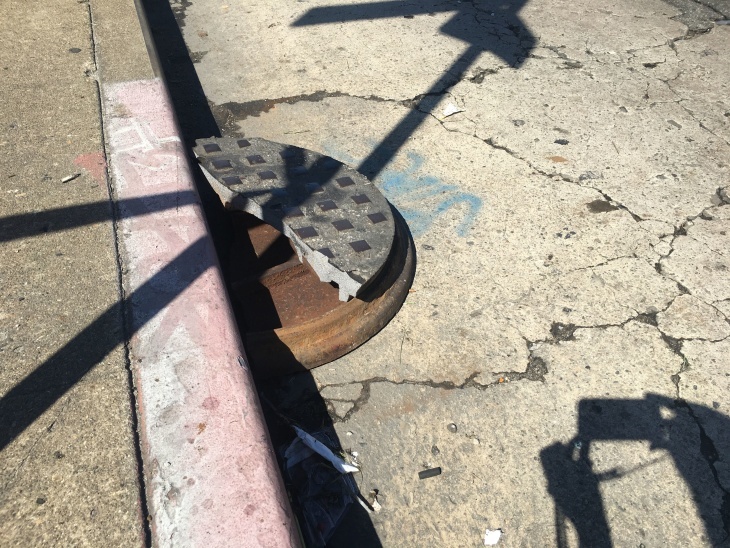 It's not yet clear what caused the fuel to ignite but the result was a massive fireball that also ignited "the atmosphere in the storm drains" and displaced manhole covers, according to fire officials. Two people at a home next door to the industrial lot were injured and taken to the hospital. Their conditions were not immediately known. Maria Sanchez, who also lives in the home, said they had no idea a fuel tanker was parked next door. "They just came to that place," she said of the lot's occupants. "They moved in less than a month ago to that place. They covered everything so nobody knew what was going on." Among the things investigators will be looking at is whether it was legal to store a fuel tanker at that location. That stretch of West Slauson Ave. is home to both residences and businesses. The block where the explosion took place also has a small apartment building and a taco shop. 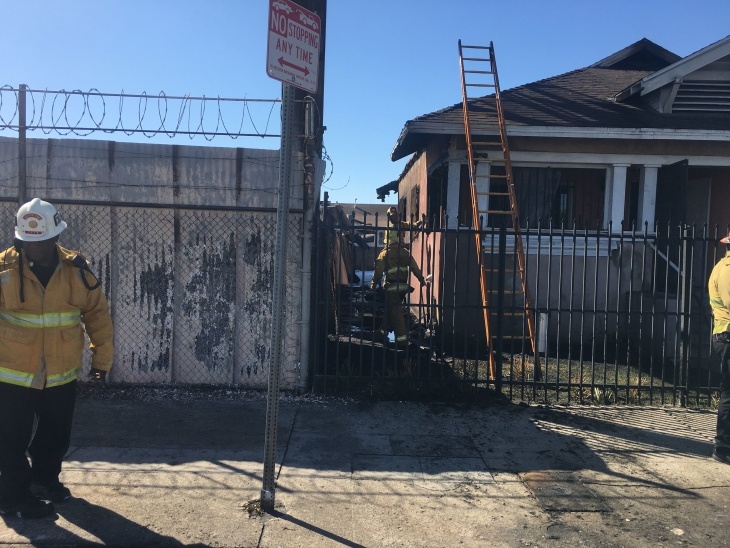 The L.A. Fire Department initially reported they had responded to a natural gas leak in the 200 block of West Slauson Ave. about 7:45 a.m. When they arrived, firefighters found "heavy fire coming from storm drains." More than 70 firefighters worked for 90 minutes to bring the fire under control. After the fire was out, L.A. County officials then worked to try to prevent any fuel from traveling further into the storm system. They blocked off a flood control channel about a mile south of the explosion to keep hazardous waster from reaching further downstream or making it all the way to the ocean. That ongoing effort involves the city's sanitation department and Department of Water and Power, L.A. County hazardous materials team and watershed authority and California's state fish and game officials. 11:50 a.m.: This article was updated with addiional information about the location of the explosion, a quote from Maria Sanchez and details about cleanup efforts. It also clarifies that authorities have said the tanker may have been carrying gasoline or another liquid fuel. 2 p.m.: This story updated to correct Prange's job title. This article was originally published at 9:23 a.m.